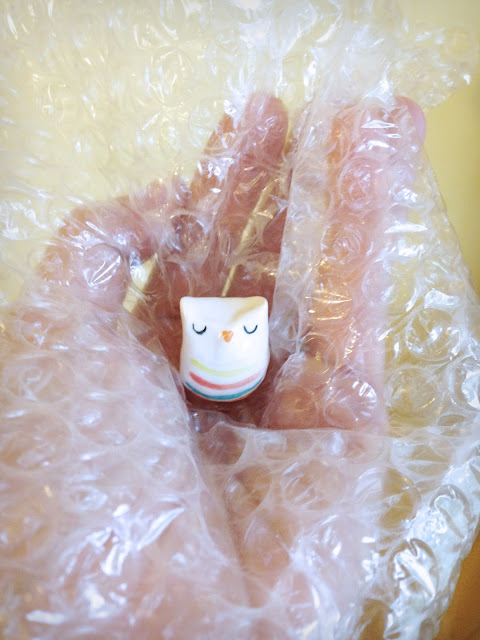 So I finished glazing some tiny owls this week. And some succulent planters like the one pictured above. Farewell little fellow, I hope you like your new home up North! I had a lot of fun photographing the tiny happy owls. New bird ornaments. I'm also going to make some wind chimes with the birds as well.